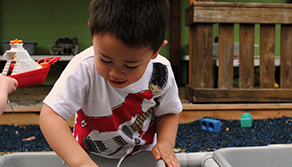 Effective communication is extremely important to providing the best care for your child. The Learning Pavilion is committed to keeping parents informed about upcoming events, parent involvement opportunities, daily concerns and more. 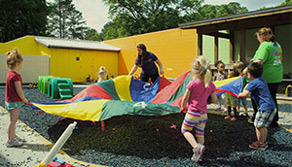 To this effort, The Learning Pavilion employs a variety of types of communication. Infants, Wobblers and Toddlers receive a daily information sheet that includes meals, food intake, nap information, play activities and more. These are completed each day by your child’s teacher and placed in your child’s cubby. Please read these and take them home. If you have questions regarding your child’s day, don’t hesitate to ask your child’s teacher or leave her a note on the back of the daily informational sheet. 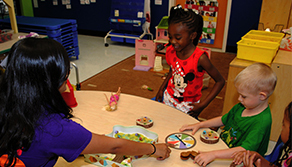 Preschool and VPK children receive a weekly information sheet. Teachers can either place them in an individual notebook kept in your child’s cubby or in a central filing location, typically near the cubbies or classroom door. These informational sheets include curriculum/lesson plan activities, developmental skills practiced, concerns and reminders. If you have questions regarding your child’s day, don’t hesitate to ask your child’s teacher or leave her a note on the weekly information sheet. We live in a technology-driven society. Because of this, and knowing that your time is finite, we use our email system as the main way we communicate events, parent involvement opportunities, unusual occurrences at school and more. Also, parents are encouraged to use email to update administrative staff regarding their child’s absence from school, send information to teachers and more. The Learning Pavilion also uses Facebook, Twitter, Pinterest, YouTube, and Instagram to reach parents. We use these social media outlets to post pictures of events, update parents, give reminders of upcoming events and more.